A recycling school bag project! 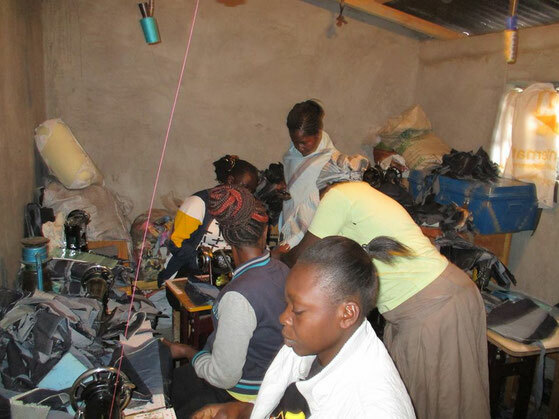 LBI is promoting the production of school bags by recycling the waste materials from the jeans factory in Nairobi as an income generating activities for women in Korogocho, especially single mothers and patient infected with HIV since 2013. The number of bags produced by LBI reaches the average 100 bags monthly for making benefits for the women's group of LBI, the Korogocho Smart Women Group. It is the model of community business with the environmental concept of recycling!